The introduction of steel hopper wagons in the 1930’s heralded attempts to improve the load carrying capacity for ore traffic with purpose built wagons suitable for loading at the quarry face and easy discharge at the steel works. 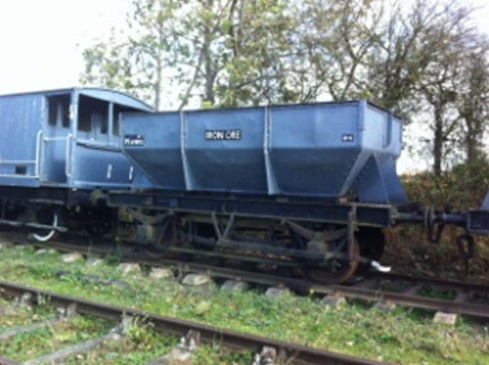 P21000 – 20-ton hopper built by Charles Roberts for Appleby-Frodingham Steel Company. Nationalised and pooled but retained for ore traffic particularly to Scunthorpe from United Steel Quarries at Cottesmore, Exton Park and Colsterworth. P15675 – Built in 1931 by Metro-Cammell as a 20-ton mineral hopper following an earlier Cammell Laird, Nottingham design for Liverpool Corporation Electric Supply and designed for carrying coal. After pooling and nationalisation, it was not uncommon for coal hoppers to find their way into ore traffic often with dire consequences for the lifespan of the wagons concerned. P101011 – Built by Charles Roberts in 1926 for the Sheepbridge Iron & Steel Co. and subsequently nationalised but retained for ore traffic.